The first round of parts for our 3D printer is here! 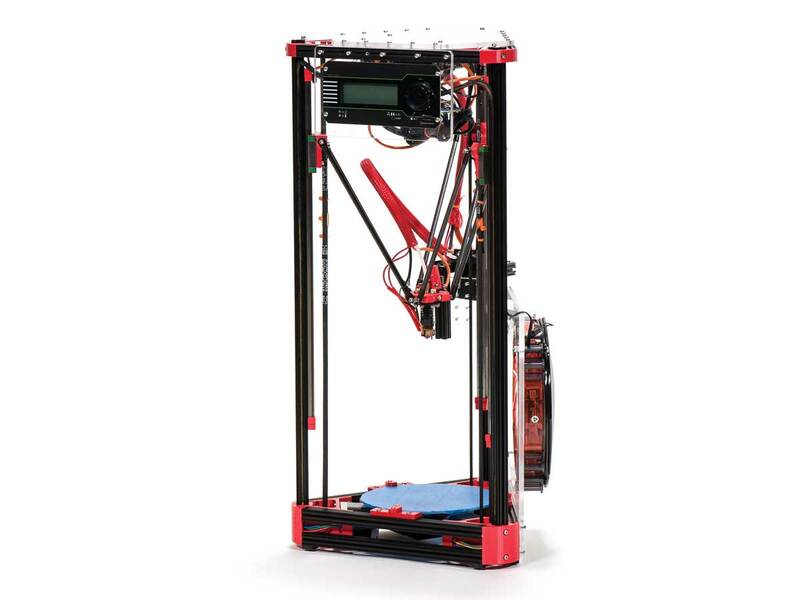 The kossel is a part of the delta bot family of printers. Meaning that instead of moving the parts strictly in Cartesian coordinates the printer works by moving shuttles on three vertical drive towers to achieve the movement of the print head in the standard X, Y, Z planes. It makes for a solid design and also a very unique and fun looking build! 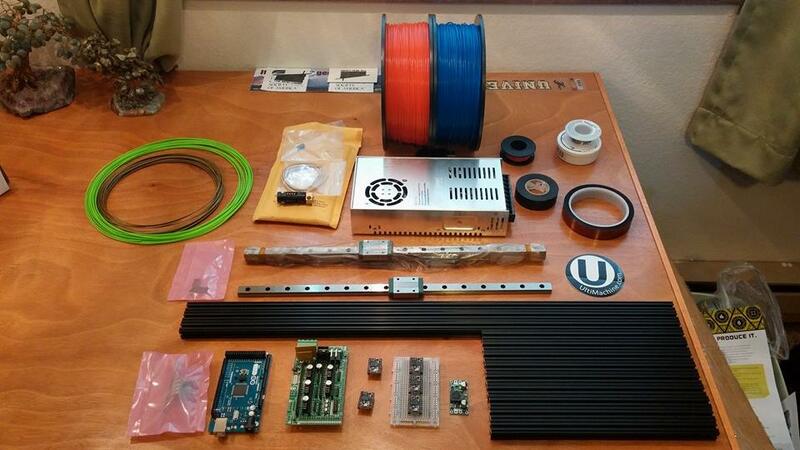 The Mini Kossel is an open source design originally created by Johan Rochel. 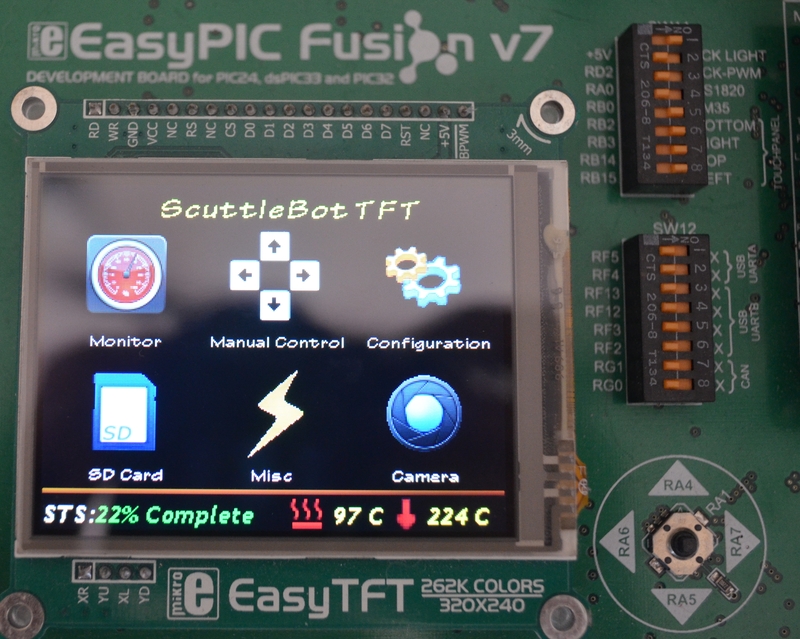 Currently their aren’t any places that sell completed kits for the kossel so it has a very active and welcoming community of users who have created one with their own twists and methods. We decided to go with the standard mechanical build to start with that uses linear slide rails for the tower carriages. The modable part I want to start working on is a touch screen interface for running the printer computer free. 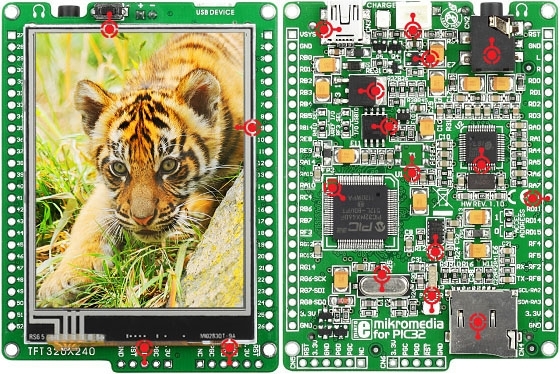 I’m toying with VisualTFT software from MikroElektronika and a PIC32 MCU to drive the touchscreen and SD card reader. We’ll see where it goes! Hoepfully I’ll be back to finishing my Lego Power Functions tutorial soon. I got sidetracked with the mini kossel. Coming soon! Finally, here is a picture of a completed Mini Kossel from Make Magazine to see what we’ll hopefully be ending up with!